FIRST recommends FTC teams to raise adequate funds through corporate sponsorship to learn to become self-sustained and self-reliant. Team TECH M8 attended the IIT Tech-Fest in Mumbai held on 15th December 2016 where 165,000 people including students from 2500 colleges attended the event. Members of TECH M8 presented their project at the Innovation Tech Challenge where they got selected out of 500 entries & made it to top 20. 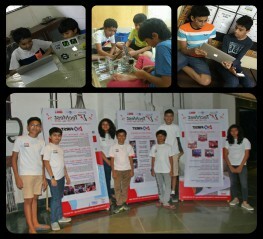 Team TECH M8’s project was awarded the first prize at IIT Tech-Fest. Your share could be as good as a donation for Team TECH M8! Not everyone can afford to take care of their loved ones. Team TECH M8's life can only be saved by donations made by kind people like you.